Exciting news from our members DOWSE, who have just opened their first store in Hove, supporting contemporary British design. Some good news for local ale fans, Ocasta Studios have built the new Harveys mobile app 'Harveys Beer Finder'. Well done to our members at Kineo who have just won two of the 2013 LearnX Impact Awards! We’re pleased to report that "Lab for the Recently Possible" has opened its doors once more to offer a host of workshops aimed at getting people coding and collaborating together. Well done to FastNet who’ve been shortlisted for three National ISP Awards. Congratulations to Arjo Ghosh, who has joined Brilliant Noise as their non-executive director. Finally, big developments this month from Kineo who have opened a new HQ in the heart of Brighton to accommodate their ever expanding team of over 150 employees! ….. remember if you’ve got any news you’d like us to shout about then just drop us an email for inclusion in our next newsletter. In the last month we’ve made a lot of progress at The FuseBox, our new support space for the creative and digital industries. We have been busy meeting start-up entrepreneurs, industry veterans and others working in the sector to understand their challenges and needs. Alongside these discussions we've held three open workshops where people have come together to discuss and develop ideas for The FuseBox; we’ve had artists, web developers, makers, coders and more all working on developing ideas for the space. We are now piloting a number of activities to see what best helps us to fulfil the purpose of the FuseBox: to sustainably provide learning and support for the creative and digital sector in Brighton. If you'd like to get involved or are just curious about what we're developing here, you can pre-register for our next open-invitation event on Thursday 20 June, 1:45 - 4:00pm. For five days this September, Brighton based Wired Sussex member companies are invited to open their doors as part of CDIT Open Studios week. Whether you’re a small or large company we’d love you to be involved! If you would like to take part you can find more information here. Brighton’s reputation as a hotbed for digital activity continues unabated this month with a feature in the Financial Times. Wired Sussex was interviewed for the piece, which focused on the growth of our region’s tech. sector, highlighting its now growing at 2.5 times the national average! We are now less than three months away from the Brighton Digital Festival 2013! Check out what has been happening and find out about some of the exciting opportunities for Wired Sussex members to participate. We know that even a small amount of cash can make a difference when organising an event. That’s why we have set aside some of the festival funding we received for a grassroots fund to help support 20 events with micro funding of £250 each. We hope these small pots of cash will contribute to covering the costs of running an event and, in doing so, support events which otherwise might not be able to happen. So far, this scheme has supported 13 projects for this year’s festival, which means 7 awards remain. More information on how to get your hands on the cash can be found here. Tuesday 2nd July, 6pm – 9pm at The Victory, Brighton. This is a regular meet-up for anyone interested in getting involved with the festival. At the meeting you will be able to discuss and share event ideas, hear about the latest progress and chat with others involved, including the festival manager Tom Bailey. The event is open to anyone interested but it would be great if you could sign up to let us know that you’re coming. 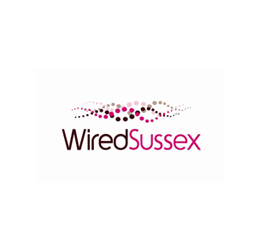 A significant benefit of Wired Sussex membership is getting to hear about the latest funding opportunities within the sector either by networking with other members or through our regular funding letter.- N.B. if you haven’t already you can sign up to receive our funding letter via your WS account page! Proposals such as mobile apps and games are eligible to apply and £10,000 funding is available. Closing date: Friday 5th July 2013. You would be heading up the communities team providing practical strategic and tactical solutions to their blue chip client portfolio. Managing clients’ communities will be core to your role, devising and then delivering flexible and creative community management services on a day-to-day basis. Your vision and ideas will be pivotal in developing the direction of the team and enhancing the community management proposition to current and new clients. Joomla! 3 Developer - urgent! !